英語マニュアル Please charge this device for 6-8 hours prior to use. 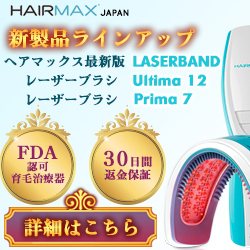 英語マニュアル To start your treatment, turn your HairMax on by pressing the power button once to activate the 30-second treatment method OR twice for the 4-second treatment. Copyright© キラキライフ , 2019 All Rights Reserved.